Now that you’re reaching your audience, they’ll need a great place to land. The emfluence Marketing Platform allows you to create beautiful, interactive (and customizable!) landing pages on the fly. Powerful, easy to create landing pages. You can leverage variable data to create personalized, branded webpages for your campaigns. And you can make sure it’s all on-brand using our easy-to-use landing page templates. Need to add a landing page to a campaign? You can add landing pages, emails, and even social posts to campaigns you create to see your results across multiple channels. 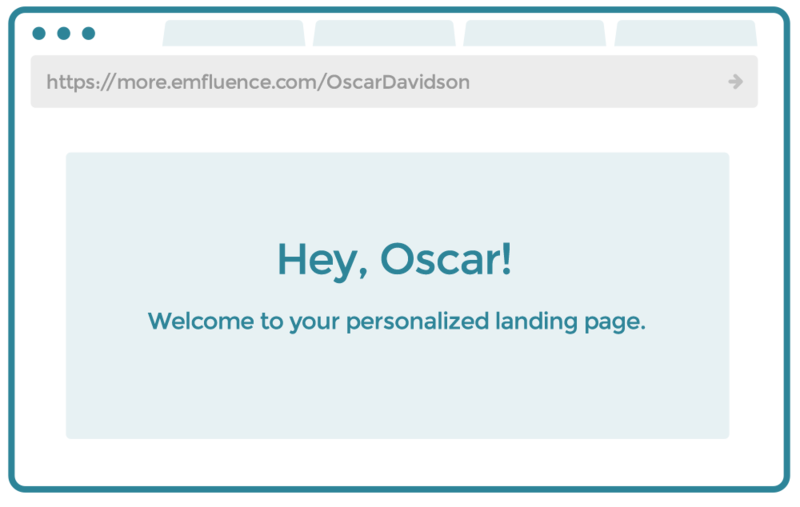 The emfluence Landing Page Generator also enables you to create paid search landing pages, event registrations, product announcements and PURLs. Our platform gives your brand the flexibility to host customized URLs or to iFrame the landing page content into an existing URL on your site. Need reporting too? No problem. Our landing page reporting provides into insights into traffic, CTRs and conversions.